2 What are the conditions required for physical weathering? 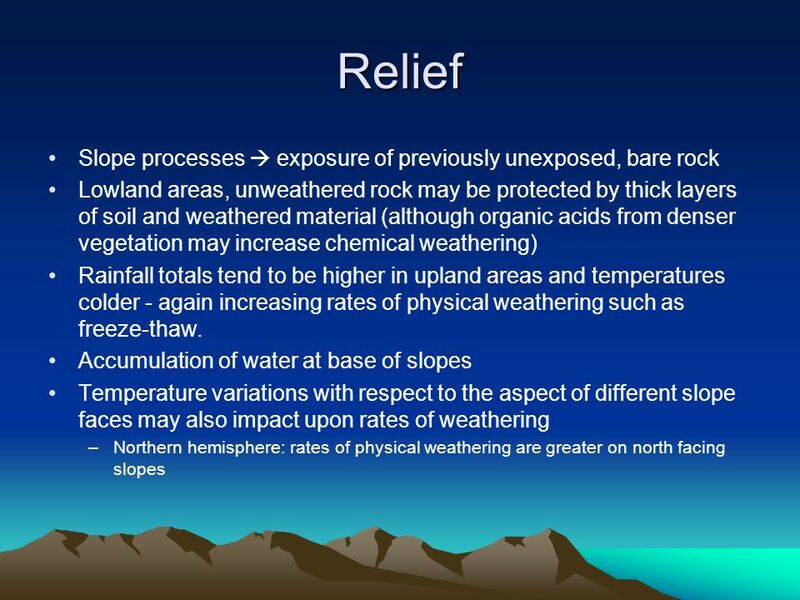 RECAP: What are the conditions required for physical weathering? What kind of conditions would you expect to be required for chemical weathering? 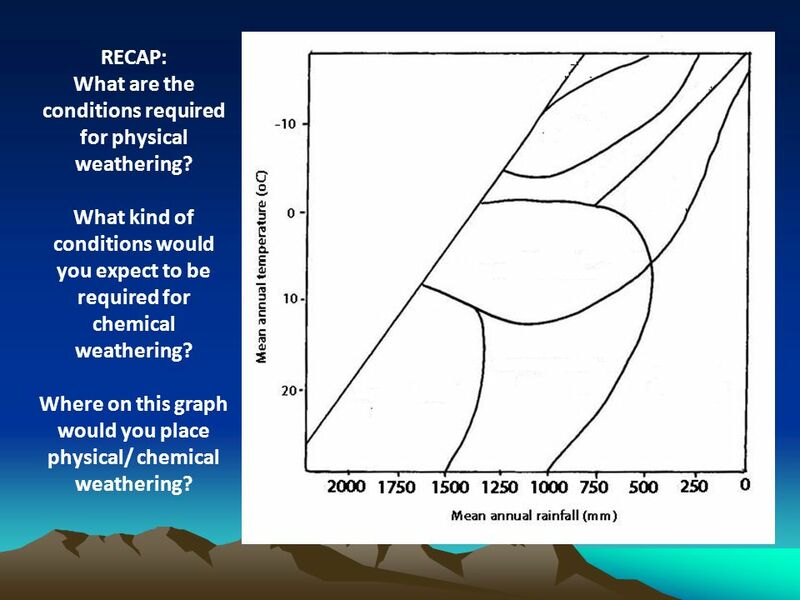 Where on this graph would you place physical/ chemical weathering? 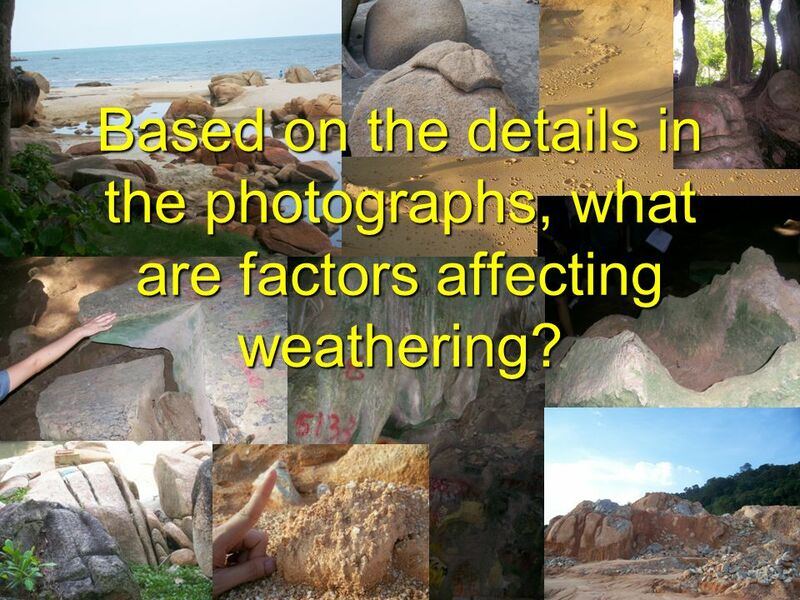 14 Based on the details in the photographs, what are factors affecting weathering? Requires more specific weather conditions than chemical weathering They all need a constant fluctuation around 0°C, and extreme temperatures either side of this which prevent the constant freezing and thawing will not allow for much mechanical weathering to occur The presence of water is another importance; if the rock is too dry there will be no moisture to freeze in the pores, yet being too dry will lead to vegetation cover, the roots of which tend to hold the rock and soil together. 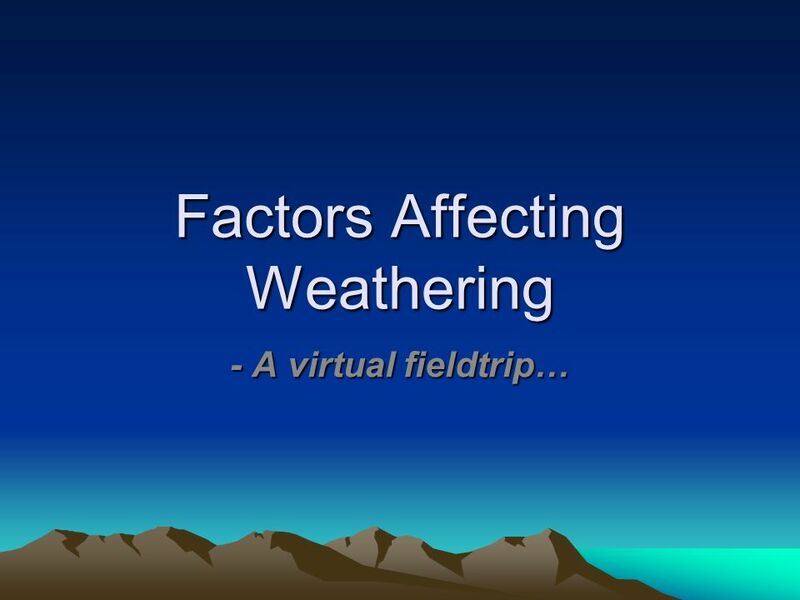 The conditions required for physical weathering, with temperatures fluctuating around zero degrees and a medium level of rainfall, are those typically found in areas of high and middle latitude. 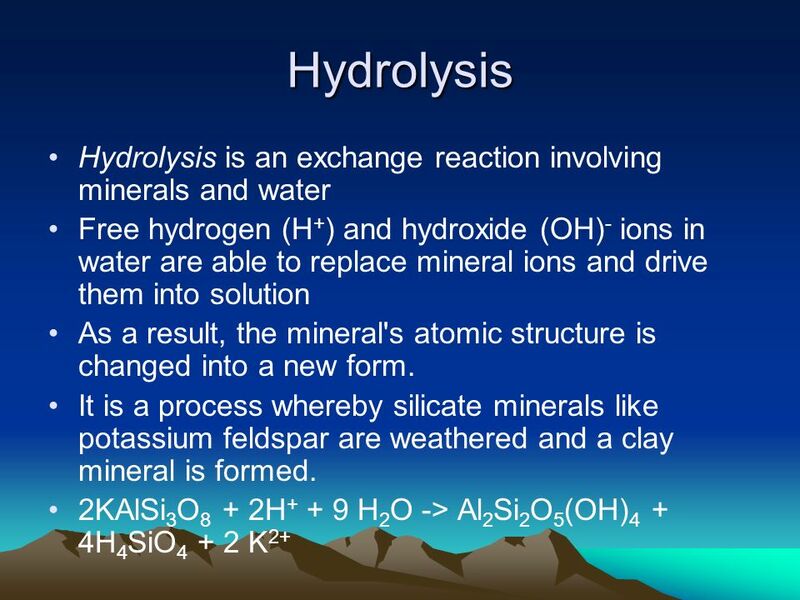 Chemical weathering processes are all based upon a range of chemical reactions, each of which requires the presence of water. 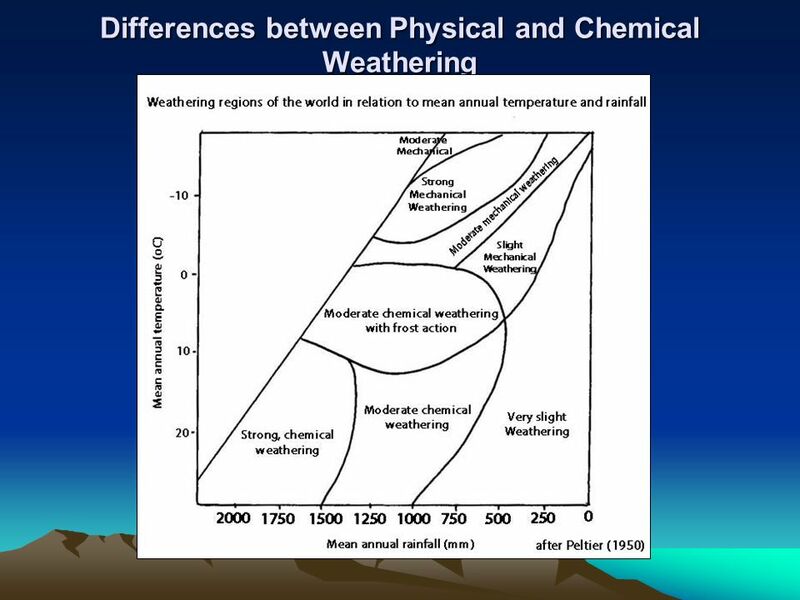 Since the rate of almost any chemical reaction is speeded up by an increase in temperature, (it is suggested that the rate of chemical weathering doubles with every 10⁰C temperature increase), it follows therefore that the warmer and more moist the environment, conditions typically found in areas of low latitude, the greater the rate of chemical weathering there. 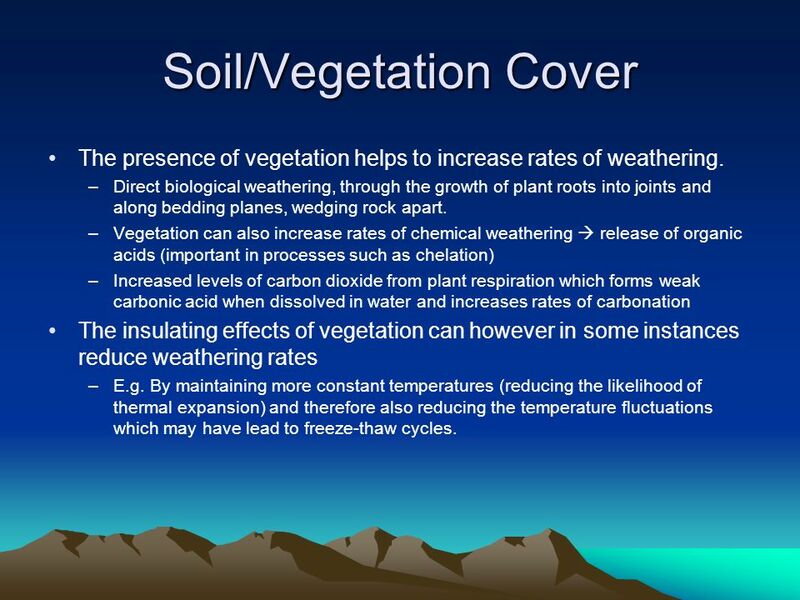 The presence of vegetation helps to increase rates of weathering. 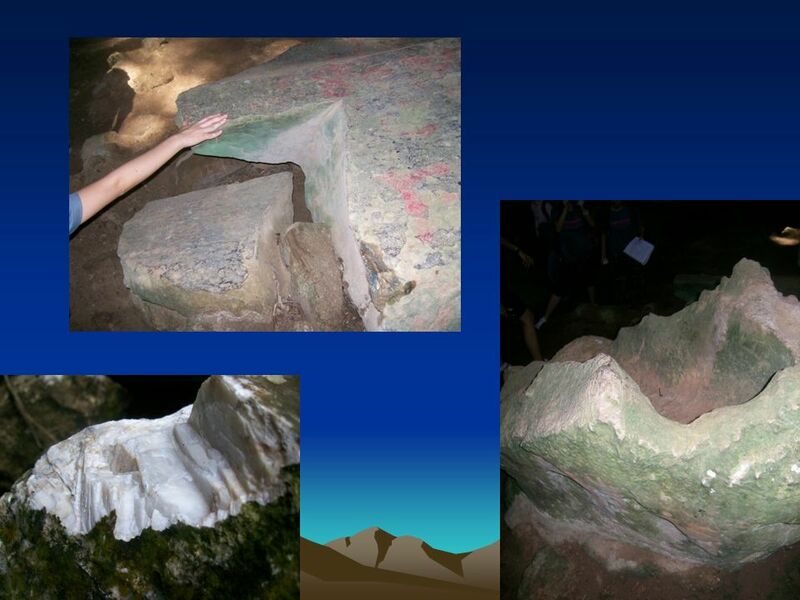 Direct biological weathering, through the growth of plant roots into joints and along bedding planes, wedging rock apart. 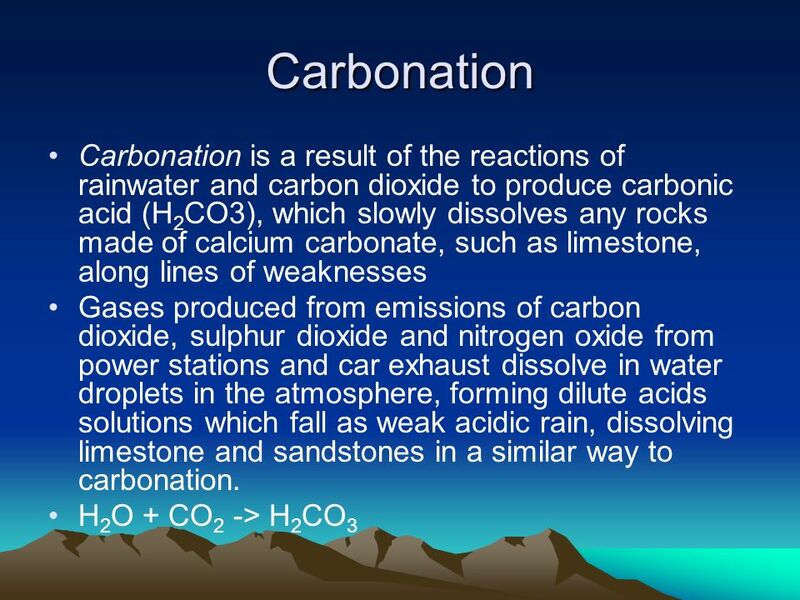 Vegetation can also increase rates of chemical weathering  release of organic acids (important in processes such as chelation) Increased levels of carbon dioxide from plant respiration which forms weak carbonic acid when dissolved in water and increases rates of carbonation The insulating effects of vegetation can however in some instances reduce weathering rates E.g. By maintaining more constant temperatures (reducing the likelihood of thermal expansion) and therefore also reducing the temperature fluctuations which may have lead to freeze-thaw cycles. 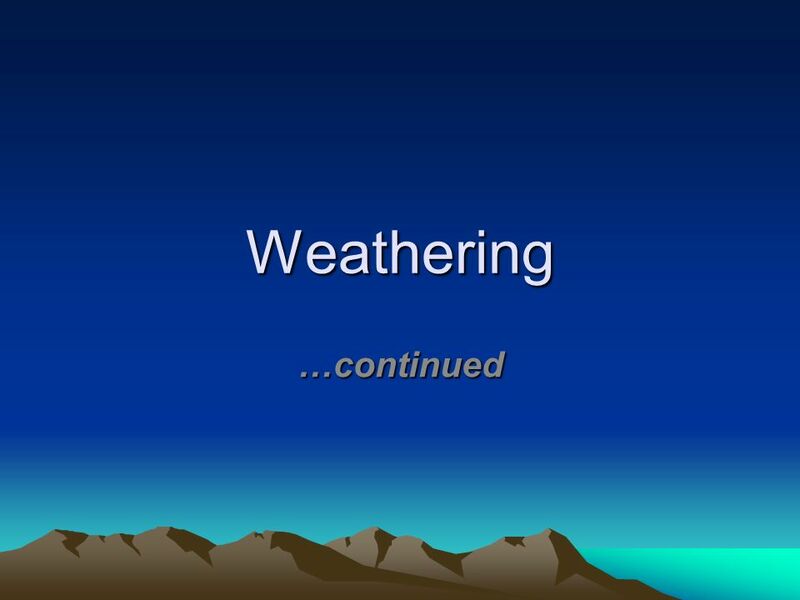 Weathering Chapter 6, Section 1. 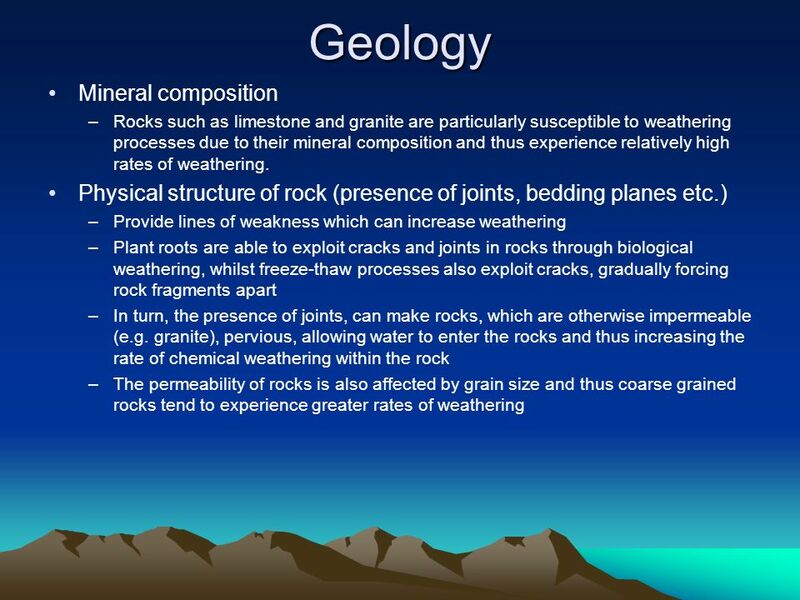 Weathering I. Definitions: the process by which rocks and minerals break down at or near the Earth’s surface Weathering: Produces soil, releases the minerals. 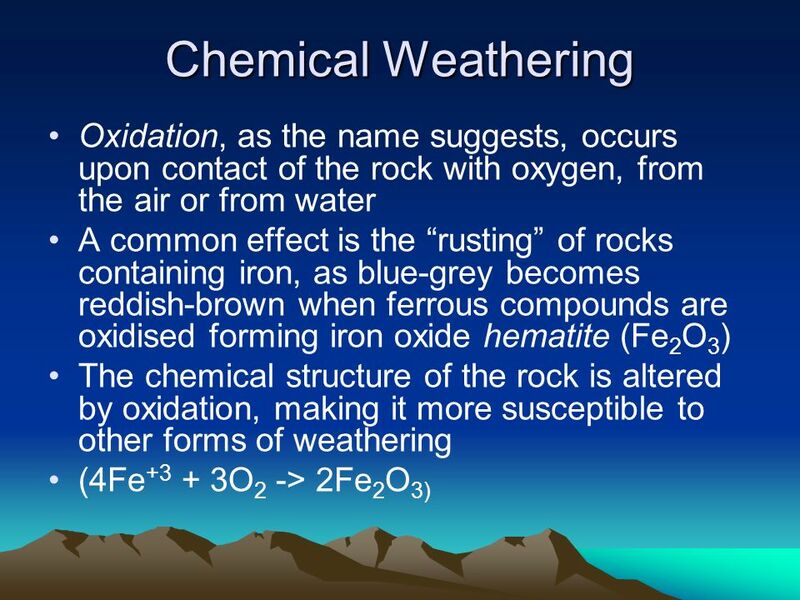 Weathering – the physical & chemical breakdown of rocks. 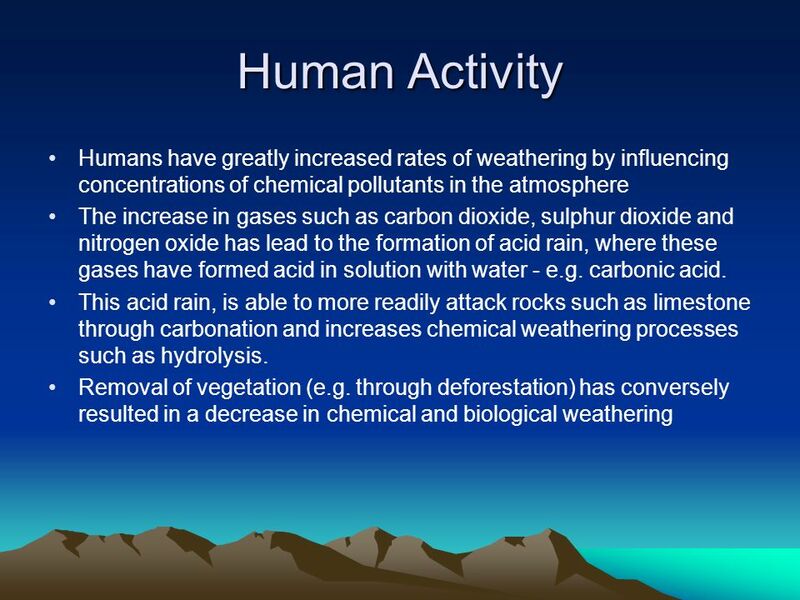 Atmosphere (gas) Atmosphere (gas) Lithosphere (solid) Lithosphere (solid) Hydrosphere (liq.) 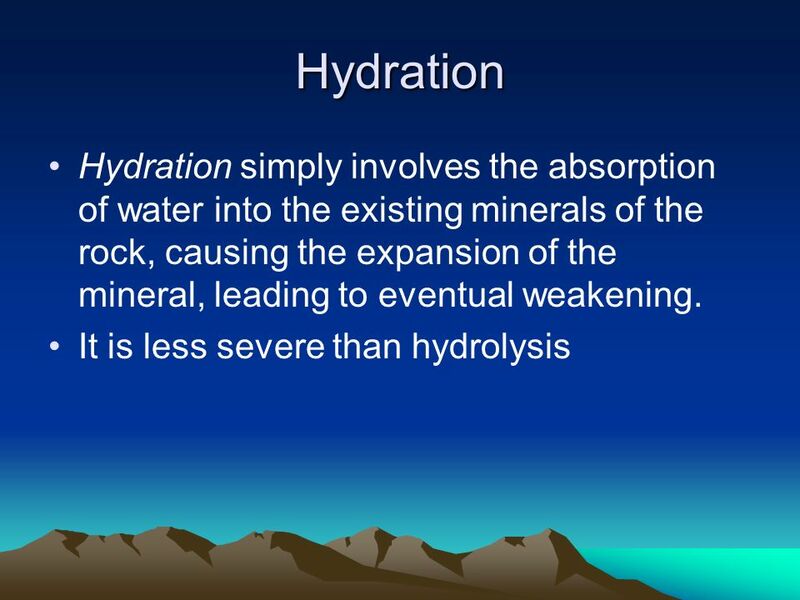 Hydrosphere.  Rocks are continually recycled on the Earth’s surface and in Earth’s interior, on a geological time scale. 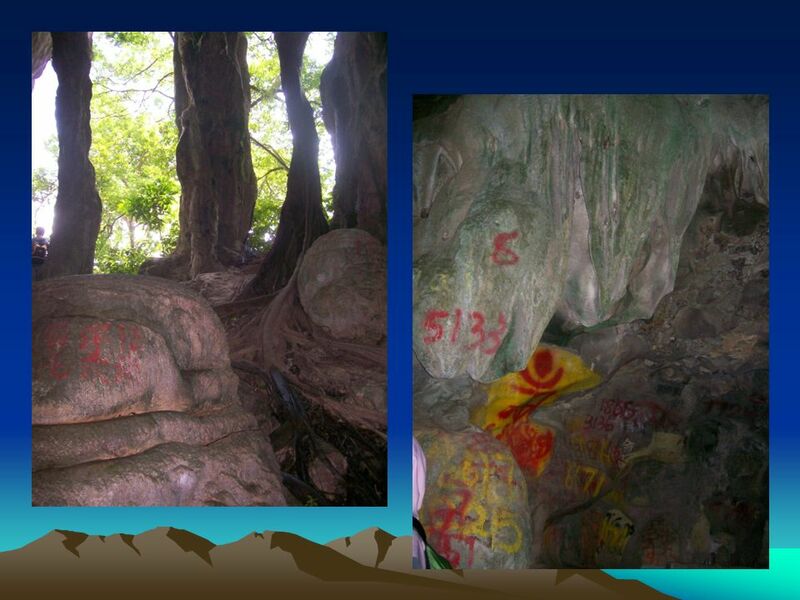  Rock is often exposed to an environment. Weathering MechanicalandChemical. What Caused This? Ms. Carr 5 th Year Geography. 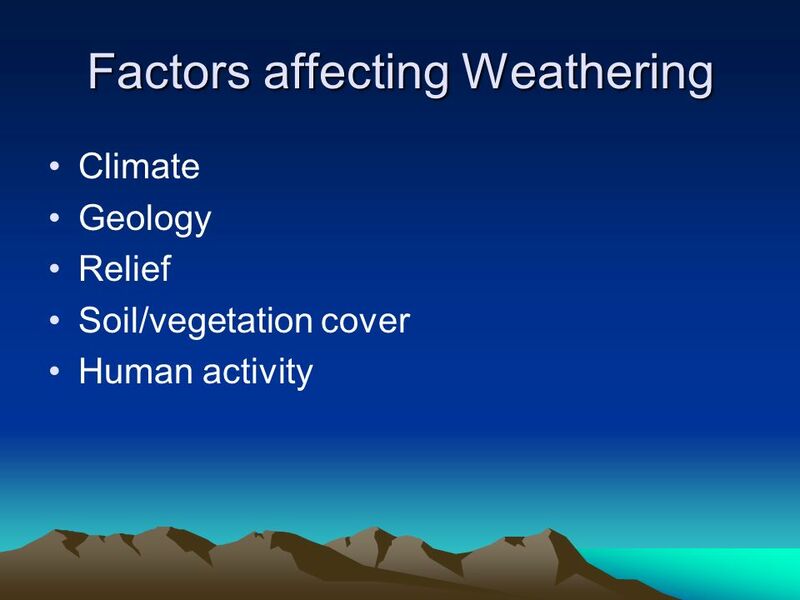 Understand the main causes of Weathering. Identify the different types of weathering. 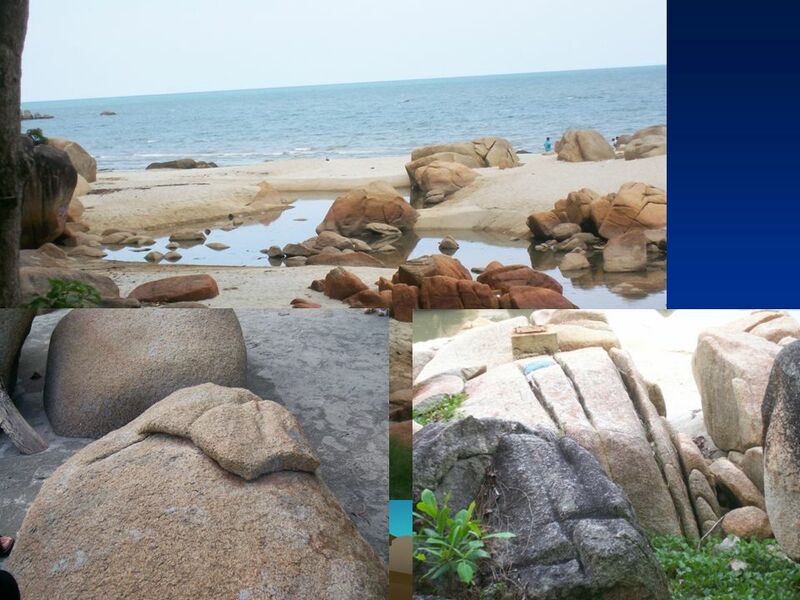 Recognise a landform created as a. 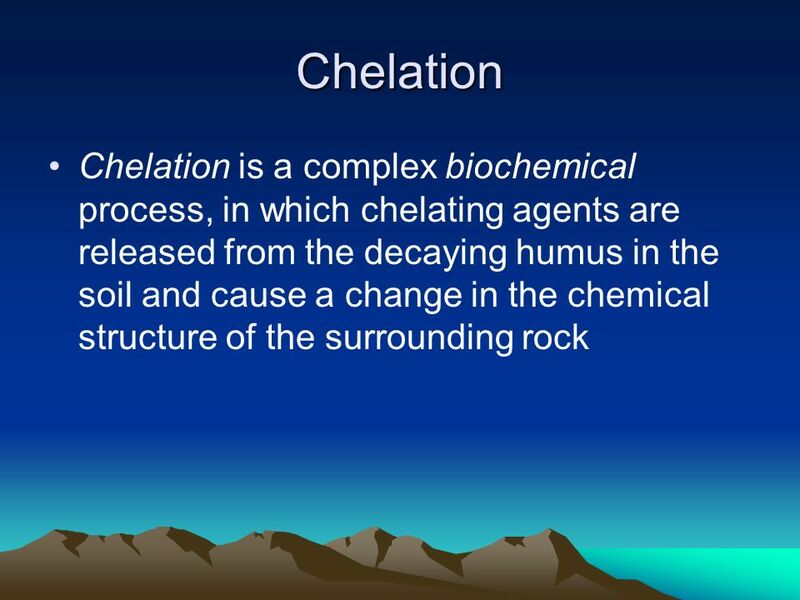 Chemical & Mechanical Weathering How is soil formed? 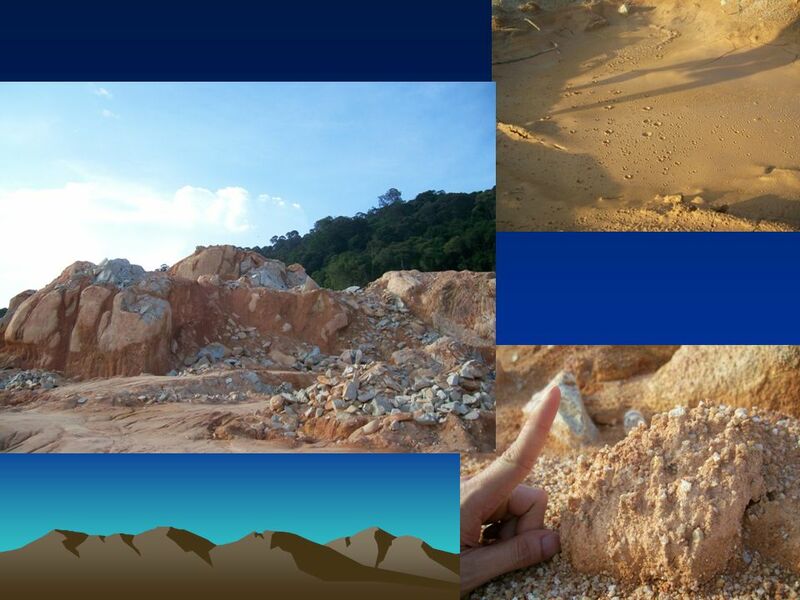 The Process of Weathering Rocks. Weathering The breaking down of rock into smaller pieces that remain next to each other. Weathering forms sediments. 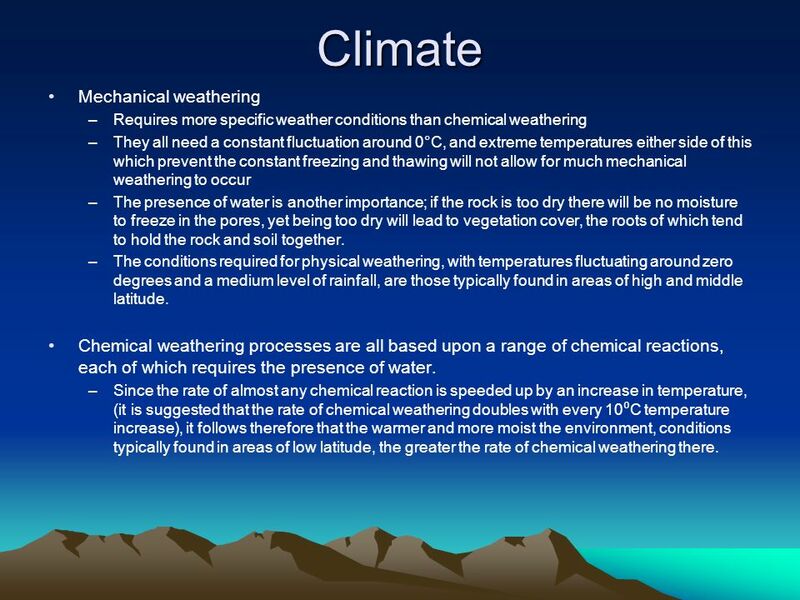 Earth’s Surface: Chapter 4 Section 1 Mechanical and Chemical Weathering Learning Targets: 1) I can describe how mechanical weathering breaks down rocks. Weathering and Erosion Natures way of tearing down everything that has been built up over billions of years.